It’s never too soon to start planning for the new years eve. Many of you might be on the fence about whether or not go to Goa for enjoying the new years eve party because Goa is most expensive during new years time! Price tags in Goa will hit the roof around New year, its a known fact. But we’ve got a few hacks for you to escape the sprawling tentacles of high ‘New year price tags’. But New Year in Goa on a budget is quite easily possible if you plan well and in advance. For the ones who care a lot about their weak pockets and the one who has a gold mine in theirs, for the misers and the generous. Heading to Goa? We have few bits of advice for both the poles. From how to get there to how to spend a night in the land of sun Sand and the beach without burning a hole in your pocket or how to show off your glittering credit card! Avoiding the comfort of quick travel by plane is one way to keep your pocket intact. If you’re from up in the north choose a train rather than a plane, it will make a huge difference in your estimated budget. 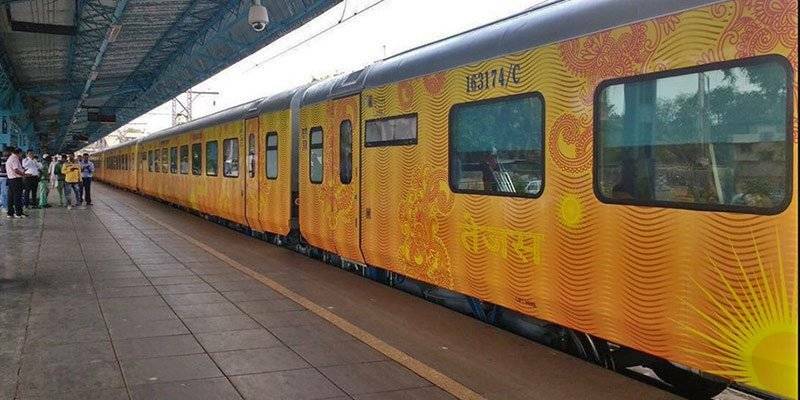 And if traveling from Mumbai travel by train or take a flight to Mumbai and from there get on a Volvo bus or a train. If you are from anywhere south like Bangalore, Chennai, or Kochi a Volvo bus is the way to go. In case you’re coming from down South, book seats in a Volvo and save flight charges. If none of this amuses you then a road trip to Goa it is! A road trip to Goa can easily be planned from cities like Mumbai, Mangalore, Pune, Bangalore and Hyderabad. Grab a wheel. An average night in a hotel can cost you more than 1500 without a doubt during the peak season but if you choose a hostel over it, then a night will come way under 500 INR. But of course, there won’t be a fancy bathtub or room service. Couch surfing is somewhat a new and pretty unconventional. So for your information, couch surfing is a service that connects members to a global community of travellers. Staying for free is the least you could get out of Couch surfing. It’s more of an experience you could keep close to your heart. But getting a host for a first timer can be hard, so sign up now and start talking to people now! 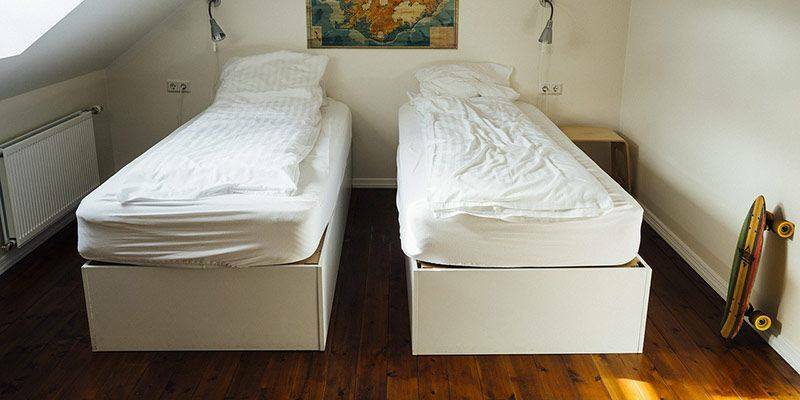 Just like Couch surfing using AirBnB is another way to make an experience which you won’t get during a stale hotel stay without upsetting your pocket. Booze is one of the prime factors during a New Year eve. Some choose to step into the New Year with half their sanity. 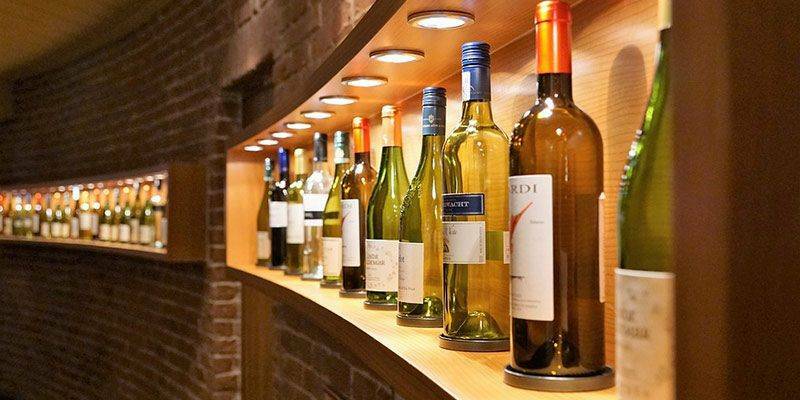 For them choose a common Wine Shops to buy the spirit of your choice because at that time or at any time shacks charge more than double for it. But my advice is what’s the point of all this if you are waking up next morning remembering nothing! The Public transport system in Goa is quite impressive there are bus services connecting even the rural parts of Goa. The state transport service called Kadamba Transport Corporation These buses do not stop at all stops but only main cities, for example, Mapusa to Panaji and Panaji to Margao. There are also motorcycle taxis which are unique to Goa. They are called ‘Pilots’ you will travel as pillion riders on these two-wheelers, they are fair with their charge and if not bargaining is always an option. 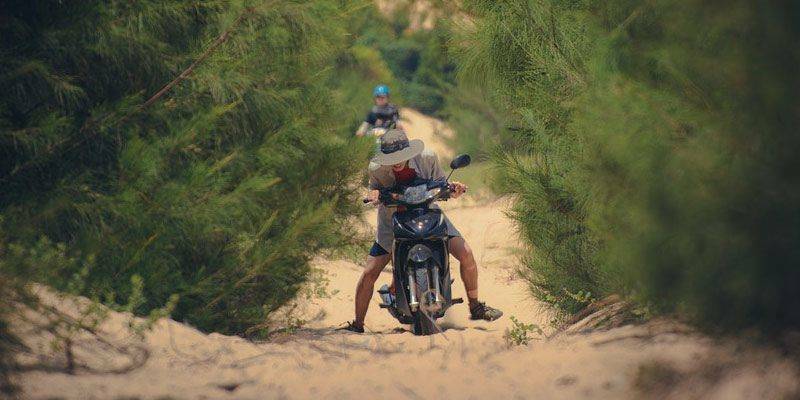 Renting out a two-wheeler is also an option. It won’t cost you more than 250 INR rent for a day and another 100 on fuel. Club 9, LPK Waterfront, Club Westend, Tito’s and Club Fresh, these are the ones you have to go to if you want to party within budget. 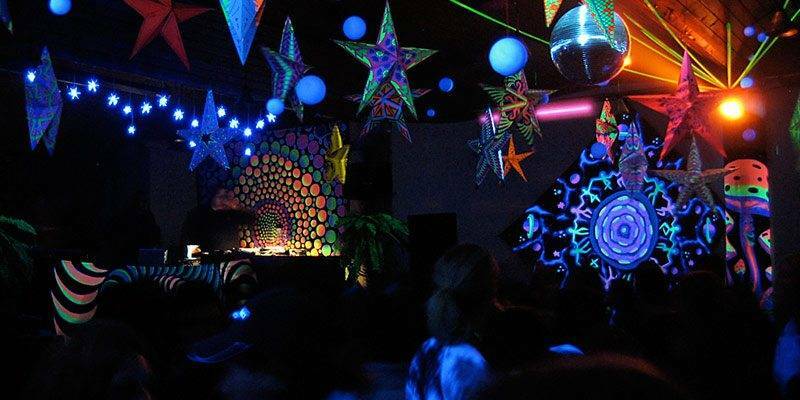 Apart from clubs, a number of popular shacks in Goa host beach parties on New Year’s Eve with great music, food & booze. If you want to spend the last day of the year on a beach in open air and waves then beach shacks like Rudy’s Golden Mermaid Shack, Curlies Shack, Bobby’s Shack, or Jolly Boy’s Beach Shack. But the thing is the popular beaches like Baga and Vagator will be jam-packed with music and fireworks during the eve. Each of the clubs will be trying to outdo the other with better Music and firework, being there is more than enough to party. One of the cheapest lunch or dinner options in Goa is a classic fish or vegetarian thali. The Fish Thali at Anandashram has fried mackerel stuffed with spicy recheado masala, fish curry, sabzi, rice, pickle, and salad and sol kadi. The vegetarian thali includes two sabzis, dal, yogurt, rice, pickle, and salad and sol kadi. This joint is perfect if you want a satisfying meal that’ll leave no room for junk food cravings. Be there early to avoid the lunchtime rush. The lunch package here is perfect if you’re looking for a quick fix meal. You can take a sandwich of your choice with a soft drink, tea or coffee; a pack of chips and a muffin. Go for their Chicken Panini – grilled chicken with mayonnaise, garlic, and oregano or BBQ Chicken and Jalapeno Sandwich. For vegetarians, the Vegetable Foccacia – mixed vegetables and chutney stuffed in Foccacia bread is a good bet. 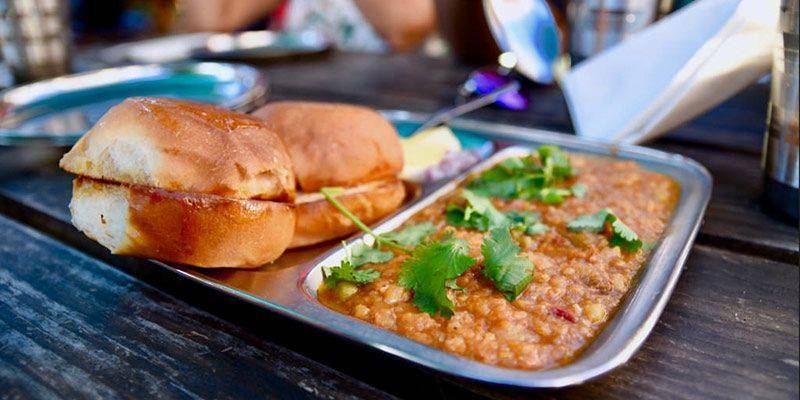 Rich, buttery, spicy and filling – if the words don’t describe Bahiya’s Pav Bhaji well enough, look at the crowd waiting to grab a plate. The small joint in the heart of Panjim opens after 6 pm and serves steaming bhaji with two buttery pavs. A single plate is enough to fill you up. Not just this three, Check Burp (link) for more options. Listen up spoiled rich kids or the ones with a corporate backup. If you are to spend some big bucks then you are at the right place. Choose what you want to see from your room Beach, cliffs, village, Old churches name the view and it is yours for the night. There is no lack of finding luxury hotels in Goa. Almost every international hotel brands have found their place in Goa. After partying hard during the new year eve these are the places to lay back and relax after paying your farewell to the past year, these are the perfect options for you to choose from. Known for its Delicious Crab Sukha, Goan Fish curry and warm hospitality. One of the legendary beach shacks of Goa. With a French-Mediterranean menu dominating their menu, you will certainly hear about this place. They also have some exquisite vine collection. Thalassa is special. A place located on the Vagator hilltop brimming with romance. Thalasa is one of the many places in Goa which you can hang with that special one. Souza Lobos masala crabs and the masala rawa fried Kingfish will make you fall in love with this place. 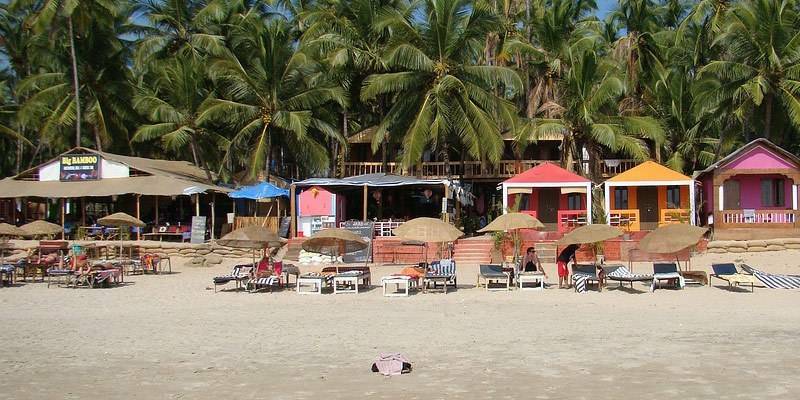 Located at the calalngute beach it’s a perfect place to unwind after a swim in the Goan waves. Baga beach is one of the busiest beaches in Goa. Dotted with several shacks and tourist from all over the world Brittos is a fine place on this beautiful beach for you to take a break and have a nice time. Villa Blance is the most cosmopolitan shack in Goa. With their extensive global cuisine, you will find people from all over the world munching toothsome food all time of the day.